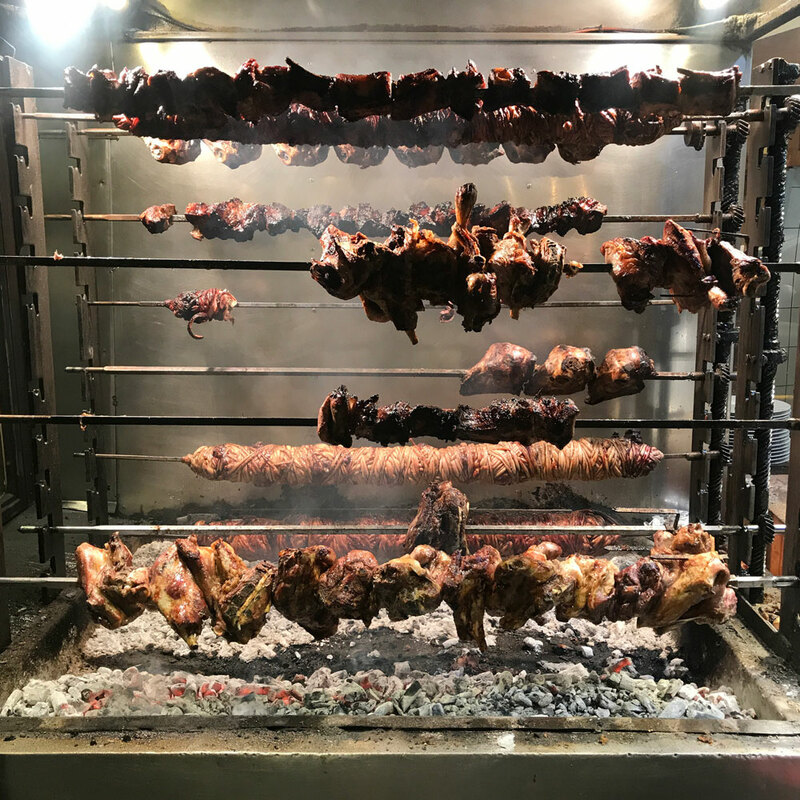 A highlight reel of the best bites in Greece, from a chef's first ever trip to Europe. “Greece 2017 was one of the most memorable and relaxing trips I have ever taken,” says Wilson Tang, the owner of Nom Wah, a dim sum standby in New York City’s Chinatown. 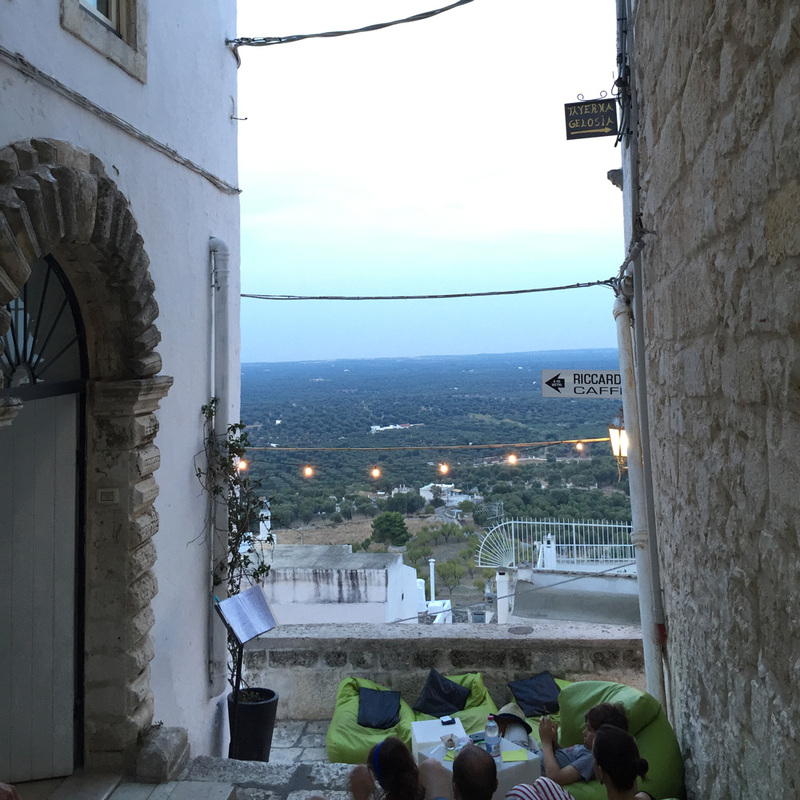 It was Tang’s first time to Europe, and during a sleepy week this summer, he tagged along with Tony Fragogiannis, the founder of Brooklyn Hot Dog Company, for his yearly homecoming trip back to Greece. Our first stop was Astir Beach, which is one of the top ten beaches in Athens. The water is clear and calm, and it's fun checking out the yachts coming in and out from the horizon. But for dinner on our first night (and two other occasions), we went to this gyro joint, a neighborhood gem in Vouliameni where everyone knew my friend by name. Zaxos Grill has permanently set the bar for me on what a gyro should taste like and what a Greek salad should consist of. It has no lettuce—just the reddest tomatoes, onions, cucumbers and feta. 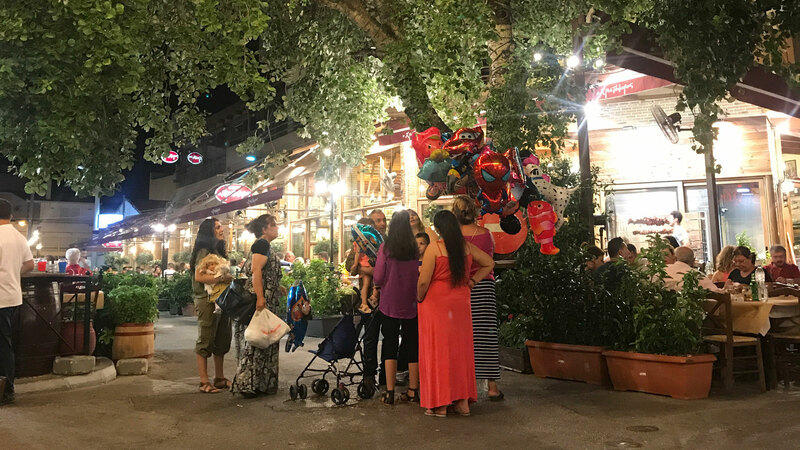 There’s also a big outdoor space, which was the perfect for families to enjoy the gyros, meat skewers and salads. We washed down all that food with Fix beer. We spent the next few days doing the tourist thing in Athens—the Acropolis, the Hellenic Parliament building—but all the places we hit u pin Athens were nostalgic to Tony because that’s where his father used to take him a kid. It was exciting for me to experience because they were all off the beaten path. At this cafeteria in the Omonia neighborhood, they’ve been making doughnuts since 1923. I stood in line with a bunch of old Greek ladies, waiting for them to come out of the fryer. This pie place in Syntagma Square has been here since 1910. The same family has owned it this whole time, and it’s old school. I loved getting a hot spanakopita or cheese pies and eating it on the street. Their classic storefront instantly reminded me of Nom Wah back home. 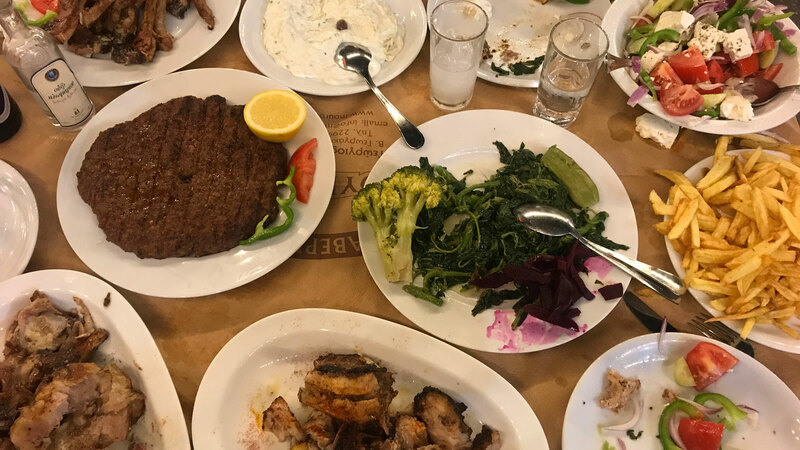 Another reminder of Nom Wah, this proper sit-down restaurant in the Financial District of Athens has white tablecloths and marble floors and has basically stayed the exact same way since opening in 1960. 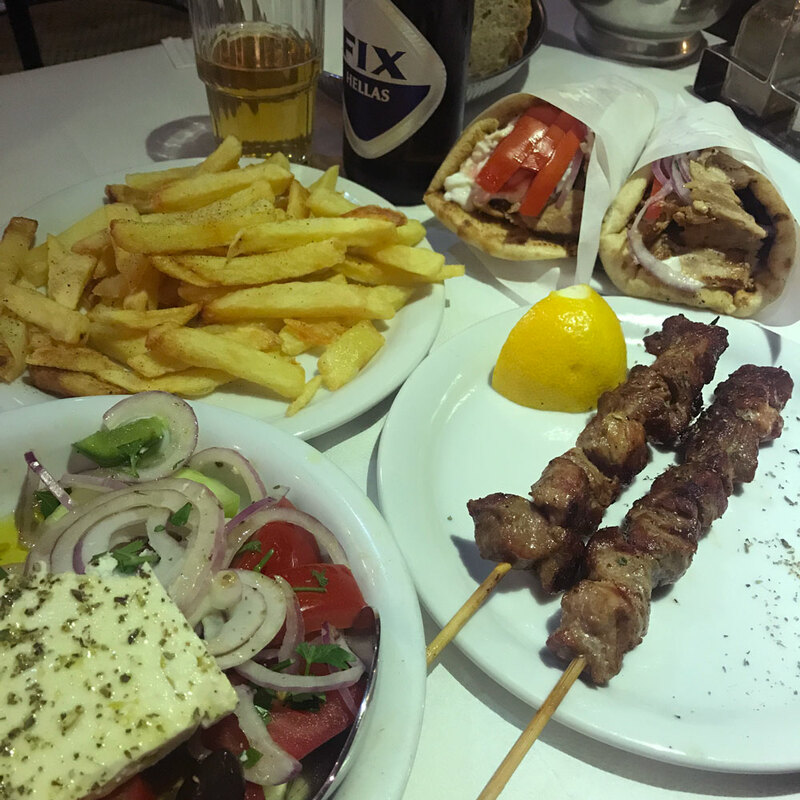 They serve traditional Greek food, and it had such a unique vibe. Get the stuffed grape leaves and stuffed peppers. We took a drive along the back roads in the pitch-black darkness to get to this restaurant in Kalyvia. But once we got there, it was like an oasis. The weather was perfect, and everyone was sitting outside, eating and enjoying their company. The place had this buzz—kids laughing, people talking, cars passing by and just that undeniable energy of a busy restaurant. Plus, it had all the grilled meats you can possibly ask for with quick and friendly service. By the end of the week, I was fully relaxed and ready to come back home to see my family—and get back to work! I hope to visit again next year and check out the islands of Greece!